September 04. 2012 | By Valerie C.
Ninth LP, Sun, marks Cat Power’s (real name: Chan Marshall) return to original material since 2006’s The Greatest. Power is in full control here: writing, composing, playing, and producing everything herself. On Sun, we find Marshall dipping her toes in the electronic audio pool. Masterfully employing as much or as little as she sees fit. Single “Ruin” is a piano driven, dance enticing ditty. “You’ve got the right to scream when they don’t want you to speak,” she laments on “Human Being.” “Nothin’ But Time” is lengthy (clocking in at 11 minutes) electro enchanting ode to youth and all its possibilities. At the heart of Sun, is Power’s soulful cadence and raw emotional writing. 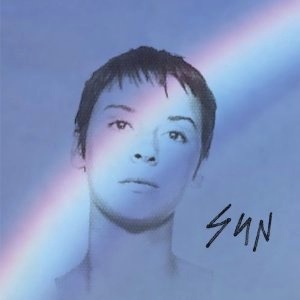 Sun might just be Cat Power’s most optimistic record yet. As optimistic as a fearlessly vulnerable battle scarred artist such as Marshall can get. She wears her heart on her sleeve. It’s exactly her inability to be inauthentic that keeps us enthralled. Catch Power live on tour starting in October.